IE9 exploit puts Windows 7 SP1 at risk ! The risk of this exploit so far is limited: exploit code has not been spotted in the wild. The vulnerabilities were discovered by researchers from Vupen, who made their own exploit. "We confirmed the exploitability of the vulnerability and we created a code execution exploit which works with Internet Explorer 9 on Windows 7 and Windows 7 SP1," Bekra said. Bekra stressed that the vulnerabilities have not been publicly disclosed. "Access to our code and to the in-depth analysis of the vulnerability is restricted to our government customers who use the information to protect their critical infrastructures," he said. IE9 is not much in use by governments or even companies. However, the vulnerability is not limited to the latest version of Microsoft's browser. The security hole is also present in IE8, 7 and 6, for which Vupen has not made a working exploit. Vupen's exploit code is only effective on IE9, which can run on Windows 7 and predecessor Windows Vista. 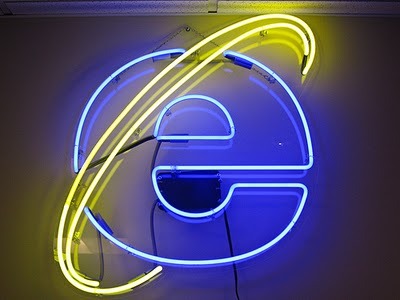 IE9 has recently been released and is not yet being distributed through Windows Update. Microsoft will start that rollout in the coming weeks. An exact date for the wider distribution and installation of the latest Windows browser has not been disclosed. IE9 currently has a market share of 3.6 percent amongst Windows 7 users, according to figures from market researcher NetApplications. Windows 7 itself has a global market share of nearly 25 percent. Windows XP still has a larger installed base. Measured across all PC users IE9 has a market share of only 1.04 percent, reports NetApplications. Competitor StatCounter doesn't even show IE9 as a separate browser in its market share overview, but puts it in the category "other."